Do you wish to enhance the sound quality of your Mac device? Are you not satisfied with the audio output of your Mac? Well, you have come to the right place as we have the right solution in store for you. Mac is undoubtedly excellent in its performance. From its video quality to audio output, it is absolutely great. But then there are times when your device may disappoint you. This may happen for various reasons. For example, there may be some problem with your device or the music playing app that you are using is not compatible with your device. In order to boost the sound quality of your Mac device, you can always make use of a volume booster app. With the help of a volume booster app, you can easily control the sound effects of your device. What Is A Volume Booster App? A volume booster app is mainly designed to help you adjust, control and manage the sound quality of your Mac. Its primary function is to boost the sound quality of your device so that you can have a better audio experience. You can get numerous such apps out there. However, you need to choose the best one so that you can make the most of it. Speaking of volume boosting apps, you can get both paid and free ones. The paid apps are considerably better than the free and that too for obvious reasons. The paid apps are equipped with more features which makes it better than the free ones. Therefore, it is advised for you to go for a paid one instead of a free app. By making use of these apps you can avail various benefits which are listed in the next section. 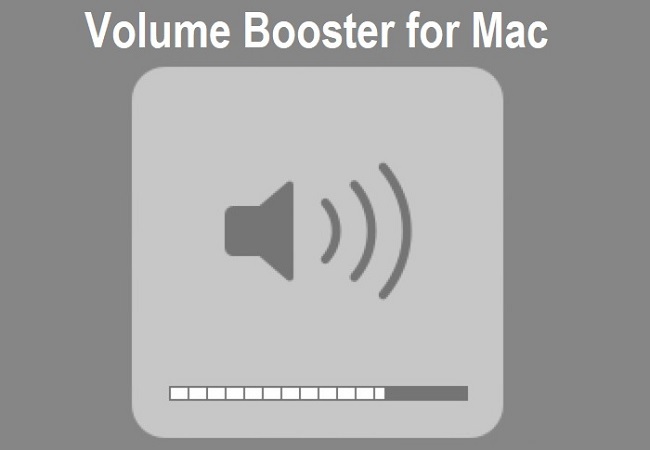 What Are The Benefits Of Using A Volume Booster on Mac? With the use of a volume booster app or an equalizer booster app you can not only boost the sound quality of your Mac but you can also reap various other benefits as well. Some of the main benefits that you can avail from the use of a volume booster app include the following. 1. By making use of a volume booster app you can adjust and control the sound effects of your Mac according to your choice. 2. A volume booster app is known to provide you with a better and improved audio experience on your Mac. This basically means that you can watch your movies and listen to music in a better way. 3. These apps are also very easy to use as they come with a user-friendly interface. Also, they are made compatible with your Mac so therefore, there is nothing for you to worry about. 4. You can even use a volume booster app while using your headphones with your Mac. In other words, it can also boost the volume of your headphones for a better experience. So these are some of the main benefits that you can get from the use of a volume booster app. So what are you waiting for? Improve and boost the audio quality of your Mac with just the help of an app. This is the best way of fixing the audio output of your macOS device. No wonder, so many users are using it.